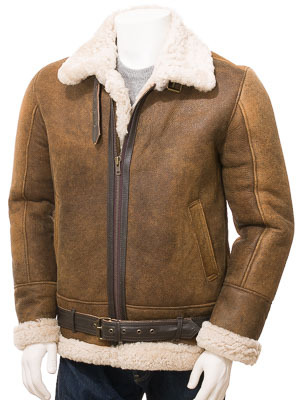 The classic sheepskin flying jacket in tan. 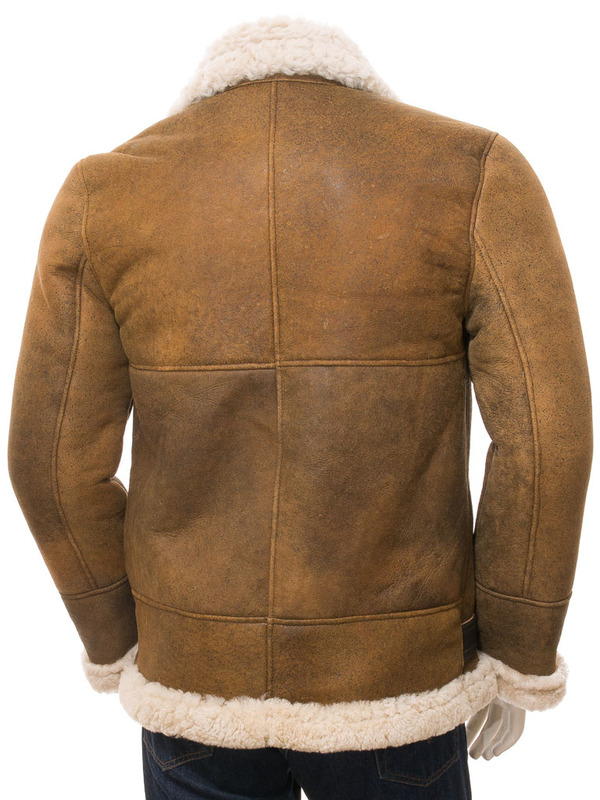 Like all genuine shearlings, the woollen fleece side of the skin forms the interior lining of the jacket while the under side is the exterior. 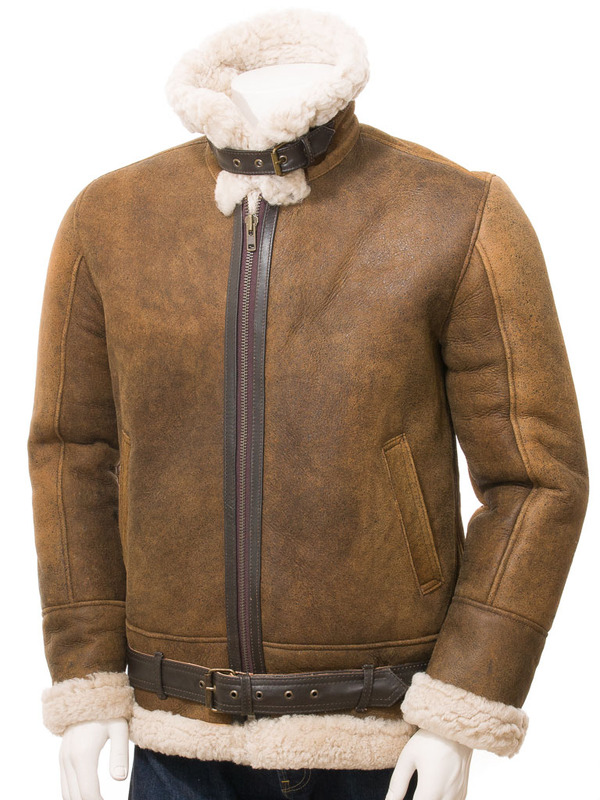 A YKK zip front ends in a generous shirt style collar than can be stood up and fastened across the throat with a buckled leather strap. 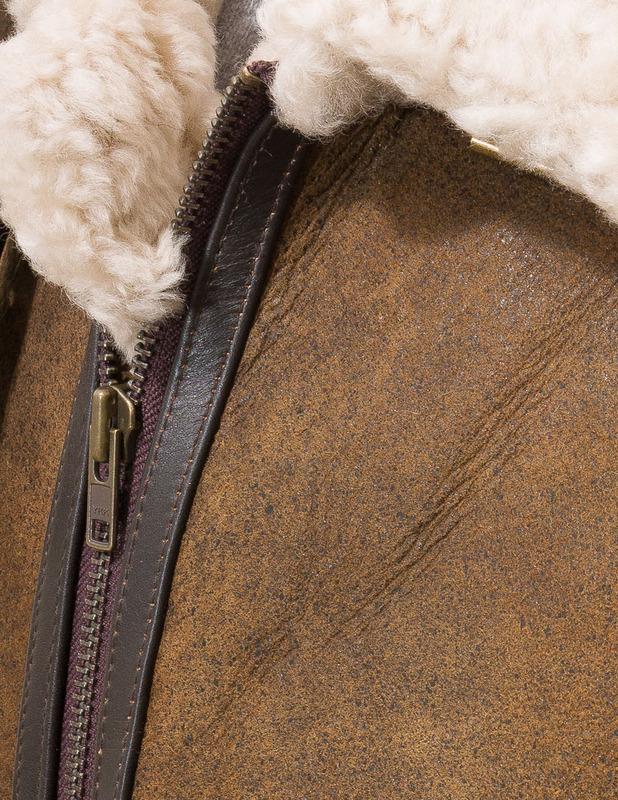 At the waist are two deep handwarmer pockets and a buckled leather belt to adjust the fit.